Learn about the practices of occupational hygiene to ensure health and safety in the workplace. Learn about the basic principles associated with occupational hygiene such as the fundamentals of toxicology, human physiology and industrial diseases, and hygiene standards. With the ever-increasing rise of industrial activity, more and more employees are becoming exposed to hazards in the workplace. It is crucial to know how to monitor and assess different hazards to ensure their health and safety within the workplace. This free online diploma course begins by explaining human physiology and industrial related diseases. You will study different organs of the body and examine how each can be affected by chemical and physical hazards. You will then learn about the fundamentals of toxicology and hazardous substances, and about chemical and biological hazards and the diseases that can arise from such hazards. 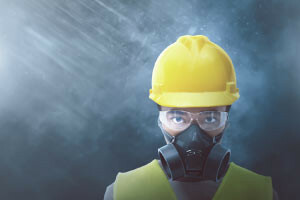 You will learn about how to measure airborne contamination and the main sampling techniques and equipment used to measure exposure to hazardous substances. You will learn about the different types of hygiene standards for chemical agents, physical agents, and biological exposure indices, and the importance of health surveillance in the workplace. Next, you will be introduced to physical hazards in the workplace such as noise, vibration, heat/cold and lighting. You will learn about the effects of excessive exposure to these and how to evaluate and control excessive exposure to them in the workplace.